SPRINGFIELD, Ill. (AP) — A Manteno veterans’ home resident who contracted Legionnaires’ disease has died, state officials said Friday, becoming the 15th resident of a state veterans’ facility killed by the flu-like illness. The resident died Sunday night, Illinois Department of Veterans’ Affairs spokesman Dave MacDonna said. He could not release further details. The death came just two days after Gov. J.B. Pritzker visited the northern Illinois facility where he signed an order for an audit of all Veterans’ Affairs safety and security processes and to ensure full and timely communications with residents and their families, staff and the public. The home 50 miles south of Chicago is the second veterans’ home hit by the disease. Fourteen residents died and dozens of others were sickened after a 2015 outbreak of Legionnaires’ disease at the veterans’ home in Quincy in western Illinois. The state Veterans’ Affairs department enacted a safety response plan at the Manteno home and notified residents after it was alerted Jan. 8 that one of them had tested positive for the disease. Actions included testing the water and checking residents’ vital signs more often. 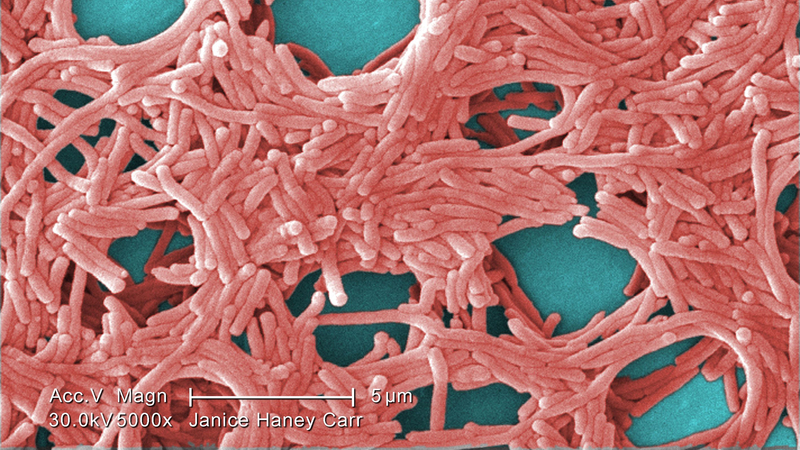 Legionnaires’ is contracted by inhaling water vapor infected with Legionella bacteria. Pritzker was heavily critical of predecessor Gov. Bruce Rauner’s management of the Quincy crisis. This week, Pritzker's office released a letter sent to Manteno residents, their families and staff, saying officials put filters on showerheads, treated the water and increased flushing of fixtures. It says testing found Legionella in three plumbing fixtures and that officials took them out of service. Results of additional testing are pending.